Tonight, as we talk about the disciple’s life, we turn to love. While love is a commonly used word, from a Biblical perspective, I don’t think that we moderns have a good handle on what love is. Now, I’m not knocking anyone’s intense feeling of deep affection. Nor am I condemning, in the right circumstances, feelings of "deep romantic or sexual attachment.” What I am saying is that when, for example, in Deuteronomy, God commanded His ancient people the Israelites to love Him, or that when Jesus says in Matthew, that the greatest commandment is to love God and to love our neighbor, He is not telling us “feel affection for God and neighbor.” God does not command affection; God commands love. Now that I’ve thoroughly confused you, let me try to unpack all of this. Jesus tells us in Matthew’s gospel: “Love the Lord your God with all your heart and with all your soul and with all your mind. 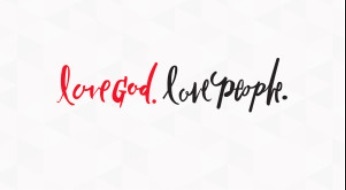 This is the first and greatest commandment. And the second is like it: ‘Love your neighbor as yourself.’” (Matthew 22:37-39) Jesus here quotes Deuteronomy 6:5, a portion of Moses’ farewell sermon that pious Jews know as the shema, and Leviticus 19:18, what scholars call “the holiness code,” an explanation of God’s moral code, binding for all time, expressed briefly in the Ten Commandments. Here, we see Jesus commanding us to love God and our neighbor, with all our hearts, and we panic or rail at the impossibility of it all. In statements like these and countless others, we show that we’ve soaked up more of this world’s understanding of love than we have of God’s understanding of love. When the Bible speaks metaphorically of our hearts, it isn’t talking about the seat of our feelings. It speaks of the seat of our wills, of our wants and desires, the place from which our yen for things like security, happiness, food, drink, and companionship comes. If that all seems innocent, remember that the heart is also the seat of our sinful desires, things like our desire to get what we want when we want it, to make other people do what we want them to do, to have what we want no matter if it hurts us or hurts others. His words echo my own after I’ve caught myself doing something I shouldn’t have. “Why did I do that?” I ask myself. The answer is that my heart has inherited from Adam and Eve a desire to “be like God,” to be my own god, to call my own shots, to be the master of my own universe. And yet, Jesus commands us to love God and love neighbor. What is a person who seeks to live as a Jesus disciple to do? First of all, remind yourself daily that you cannot save yourself from your heart’s inborn penchant for selfishness and sin. If you and I could do anything to save ourselves from sin, Jesus Christ would not have had to die on the cross for us. Jesus resisted the temptation to act selfishly and sinfully, leading a sinless life to be the perfect sacrifice for our sins. Second, also remind yourself daily that only Jesus can fill in the chasm that exists between you and me, on the one side, and God in His perfect holiness on the other. Even if this very night, you and I could find a way to always perfectly love God and our neighbors for the rest of our lives, our love would not erase the deficiencies in our love that have existed up until tonight. We must rely on Jesus to bridge the gap between who we are and who God has meant us to be. We must rely on God’s grace given in Christ. But here’s a third thing. Just because we are saved by grace through faith in Jesus Christ alone--and we are--doesn’t mean that Jesus’ great commandment goes away. We still are called to love God and love neighbor. Out of simple gratitude for His saving an unlovable sinner like me, I will want to seek to fulfill this great command. When I was in elementary school, my father and grandfather spent hours with, drilling me on the multiplication table. I kept at it not because I thought they would throttle me if I didn’t memorize the table or because I wanted to know the multiplication table, but because I saw how hard they were working with me on it our of sheer fatherly love. (I couldn’t have cared less about learning the multiplication table!) But these two men who cared for me wanted me to learn it and because of them, I did. God’s love, which has saved us from sin and death, should also motivate us to try to keep all of His commands and to seek His help when we fail to keep them. So, how can you love someone you may find hard to love? Second: Pray for that person. Ask God to give them every comfort, joy, and success that you might desire for yourself. Third: Seek ways to do some kindness to that person or to show openness to them. I promise that God honors earnest efforts to be obedient on the part of grateful disciples of Jesus. Now, a word of caution. If the person you find it hard to love has abused you--emotionally, physically, or otherwise, you are under no obligation to continue to associate with them. Love doesn’t compel you to subject yourself to unnecessary danger. When a woman we knew in Cincinnati was physically abused by her husband, I told her that God’s command to love did not obligate her to stay in that home. I joined with others in helping her to get out. If she were to love her husband, it would have to be from afar. The New Testament word for forgive is aphiemi, which literally means release. When we forgive others, we set people free from their debt to us for the wrongs they’ve committed against us, just as Jesus forgives us the enormous debt we owe to God for our sins against Him and His children. But when we forgive, we also set someone else free, ourselves. In the power of God’s Holy Spirit, disciples who believe in and follow Jesus, seek to love God and to love neighbor. 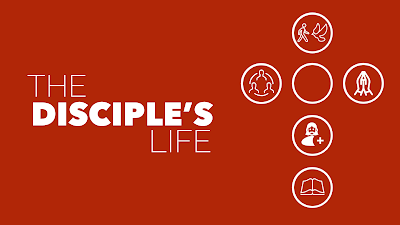 More on the disciple's life next week. In Christ, You Can Hold Your Head High!